Dress your hair and stimulate your scalp. A unique blend of essential oils is mixed with organic jojoba oil to make an incredibly rich and nourishing serum for your hair. “I used it on the ends of my hair before straightening and it made them glossy, kept the frizzies away, and left my hair easy to style. I also found another use when our neighborhood pool opened- rubbed it through my entire head and it seemed to keep the chlorine affects at bay. We have combined several of our favorite ingredients—organic jojoba oil and essential oils of rosemary, lavender, cedarwood, thyme, and basil—to create Jojoba Healthy Hair™, a leave-in conditioner for the luster and nourishment of your hair. For optimum results, massage just a few drops of this non-greasy formula into your hair and scalp. Follow with combing and styling. Your hair and scalp will benefit from the moisturizing and non-comedogenic properties of jojoba oil. 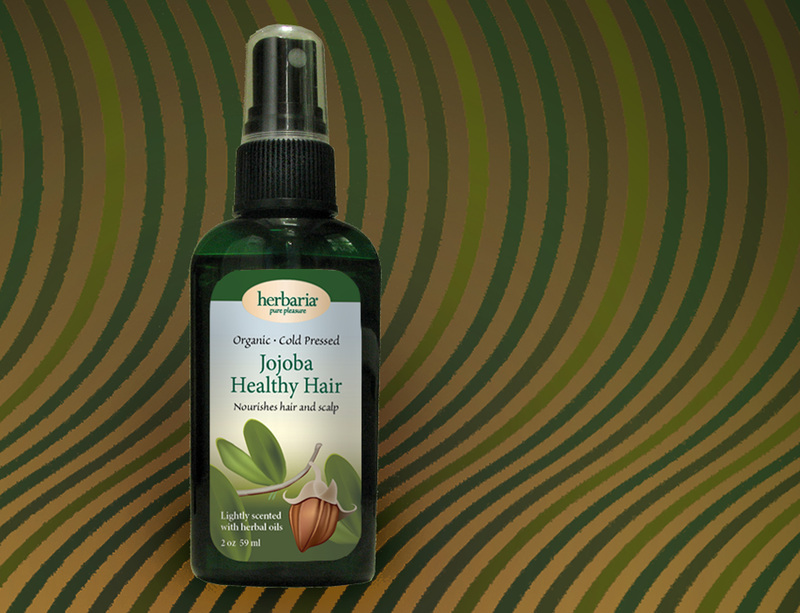 The jojoba will improve the health of your hair without clogging the pores of your scalp. Long used as a natural hair conditioner, it is also a respected remedy for dandruff. The essential oils we’ve blended make a wonderfully pleasant scent, appealing both to men and women. Homeopathic literature and scientific studies indicate that these oils help moisturize and repair damaged, dry and brittle hair. In combination with scalp massage, the herbal oils stimulate hair follicles for longer and stronger hair growth. 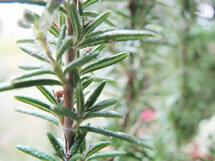 In addition, it is said that rosemary may slow down premature hair loss and graying. 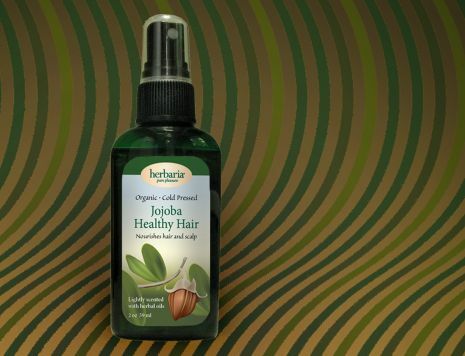 Each bottle of Jojoba Healthy Hair counts as 1 bar toward our free bar offer.